Morning after, Day ahead...: Clipping Coupons~ once you start, you'll never stop! 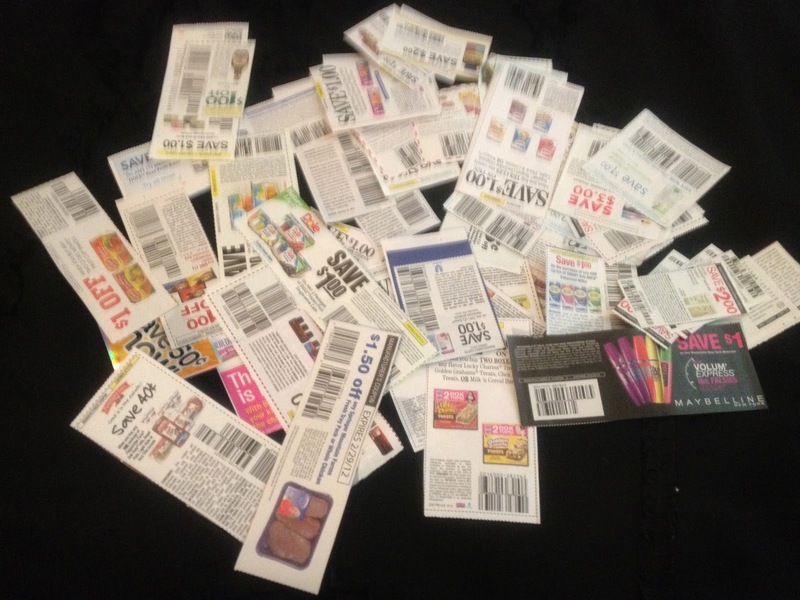 Clipping Coupons~ once you start, you'll never stop! Being in financial debt is enough to make a person physically ill. Seriously. Depending on the amount of money owed, the feeling of helplessness can greatly affect a person's well being. To some being in debt is like a vicious cycle. You pay one bill to only get another that you can't afford, not to mention unexpected expenses that arise which are out of your control. It can be a mess! I've always known about coupons in the Sunday paper and online, but never really took advantage of the savings. Yet, when I saw people saving more than $500 on one grocery bill on Extreme Couponing, I was sold! So, every Sunday I buy the local paper for $2.00 and clip coupons. Not only do I clip coupons, but also review the circulars for the local grocery stores and convenient stores (such as Rite Aid, CVS) to see what items are on sale. By doing this, I can save double by (1) getting the item on sale AND (2) using my coupon. I've only be doing this for about a month, but saw the benefit instantly. You're never to good to clip coupons... try it once and you'll be hooked!